Sean Cahill, Principal and Managing Director of Avison Young's Fairfield/Westchester office, announced agents Christopher Grundy and James Searl completed a sale to find a new home in Stamford for the Elayne and James Schoke Jewish Family Service of Fairfield County. The non-profit organization will relocate to 196 Greyrock Place in Stamford, a 7,500 square foot office condominium. 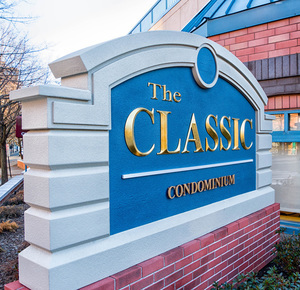 The purchase price of the condominium was $925,000. Cushman & Wakefield, represented by Trip Hoffman and Brian Scruton, served as the agency broker. The Jewish Family Service of Fairfield County will be relocating from 733 Summer Street in Stamford, which will be demolished and rebuilt as residential apartments. The unit is the only commercial space in the building and offers more square footage for the Jewish Family Service than its prior location. The Elayne and James Schoke Jewish Family Service of Fairfield County has served Stamford, Westport, Bridgeport and Upper Fairfield County since 1978. Its mission is to sustain families and individuals through life’s challenges and build strong communities. Avison Young is one of the world’s fastest-growing commercial real estate services firm. Headquartered in Toronto, Canada, Avison Young is a collaborative, global firm owned and operated by its principals. Founded in 1978, the company comprises 2,600 real estate professionals in 84 offices, providing value-added, client-centric investment sales, leasing, advisory, management, financing and mortgage placement services to owners and occupiers of office, retail, industrial and multi-family and hospitality properties.